As a young ballet student I used to bristle whenever people said, “oh, ballet, it’s so lovely and pretty,” after I had just danced in excruciating pain. Later, it dawned on me that a dancer has to make something difficult seem weightless and graceful. If you see a swan sweat and strain, then she didn’t succeed in her craft. Perhaps, that is the reason I look indulgently upon the prettiness of Repetto. It’s about a ballet fantasy of pink slippers, tutus and Sugar Plum fairies. Repetto is a French company that successfully made the cross over from professional dance shoes to everyday ballet flats and much more. There is now a line of clothing, handbags, and of course, fragrance. Repetto perfume launched earlier this year retaining the same ethereal aesthetic of the brand. It even involved Dorothée Gilbert, a Paris Opera Ballet prima, to star in its campaign. You can see the lithe dancer spraying on Repetto as she gets ready to leave for her rehearsals. A few shots later she adds a generous spritz on her neck just as she’s stepping onto the scene. Don’t look for Black Swan drama in Repetto. The perfume is as pink and frilly as they come, which makes perfect sense given Repetto’s whole package. It’s also designed to catch the 20 year olds, and this young focus dictates a certain character and price point. 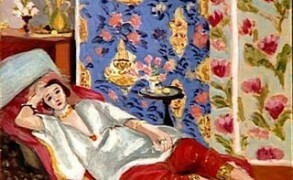 This means the perfume will be safe and commercial–young girls aren’t known for being rebellious in their choices. If Chanel Chance grew up a bit, she would be Repetto. The two perfumes don’t smell alike, but they have the same bubbly character. Repetto is softer, mellower, less aggressive on the sweet patchouli. It opens up with the tart pears and mandarin juice before falling onto a bed of pale pink rose petals and soft suede. There is a candy-like hint of orange blossom, but the main sweetness comes from creamy vanilla and gourmand patchouli lacing the drydown. It has good presence and the sweet finale goes on for hours. While Repetto won’t blow your ballerina slippers off with its originality, it’s really well done. As a gift for a young girl or anyone who loves a bit of lighthearted fun in their perfume bottle, it’s a good option. I would have loved a less young, less sweet fragrance from Repetto, but I don’t begrudge the house for doing something logical for a brand that’s itself young and sweet. At the same time, I wish the brand put more money into perfume, rather than the expensive TV ad destined to run for only a few months. 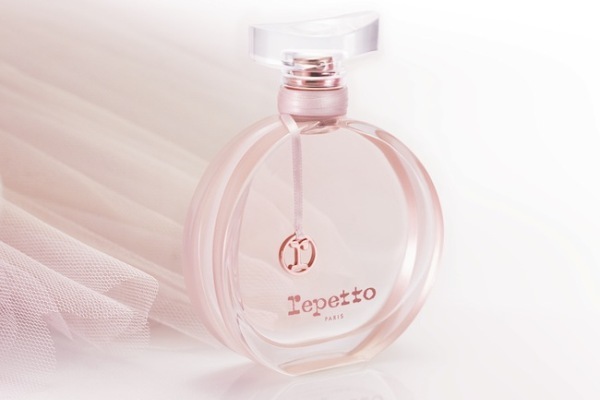 Repetto Le Parfum Eau de Toilette includes notes of pear, cherry blossom, orange blossom, rose, vanilla and amber wood. 30 (39 euros), 50 (59 euros) and 80 ml (79 euros). Victoria: I can imagine why Bussell would be shocked. At the school, even if your dancing were impeccable, but you showed obvious signs of strain, you would be downgraded. At the very least, it indicated some form of weakness. OperaFan: I have the first Carla Fracci – it’s a white flower with a prominent ylang note on a sandalwood-vanilla base and very, very pretty. I also have a mini Giselle perfume – it is a lovely gourmande along the line of Organza Indecense. Victoria: I think that it might be the combination, since everything is soft and polished, but the sweetness remains obvious. In the drydown, it makes me think of marshmallows perfumed with orange blossom water and a hint of caramel. Aisha: It sounds like it could be a lovely scent for a body lotion. Victoria: Is it just pure rose oil? Sounds so wonderful. I also love rose scents in the evening. They feel so relaxing and soothing. I also sprinkle my sheets with rose water just before I get into bed, and it’s such a great way to doze off. Aisha: Oo! Thank you! I’ll have to read that story/comments more closely (perhaps near bedtime?) I did find your articles on rose water and purchased some bottles of Cortas since they were readily available. I LOVE the scent! I’ve been adding a splash to my Darjeeling tea, and it’s been such a treat. Victoria: I love Cortas floral waters for their full, rich flavor. I also decanted some into a spray bottle, and I sometimes splash it on after a shower. It doesn’t last that long, but it’s such a pleasant burst of scent. Aisha: Thank you for the suggestion for the body lotion. I don’t know why I didn’t think of L’Occitane earlier. I’ve ordered the body lotion and am looking forward to using it. Meanwhile, I wonder if you could help me … I have been in love with Ralph Lauren’s Lauren and Safari perfumes for decades now. Are there any fragrances out there now that come really close to duplicating those classics? Lauren, Safari and YSL’s Paris have been my favorites for a long, long time. Thank goodness Paris is still being made. Aisha: Thank you so much! I do have a decant of Cristalle, and find that it has the spirit of Lauren. The dry down reminds me of another fragrance that I used to wear back in college. It was a Circle of Beauty fragrance that they sold at Sears called White Moonflowers, I believe. It was a lovely, quiet scent. And for an inexpensive one (something a college student could afford), it was darn good. Victoria: Another idea is Estee Lauder Jasmine White Moss. It’s really a riff on Cristalle, but in a more modern manner. I have a little bottle, and I wear it whenever I’m craving something fizzy but with substance. Aisha: It’s funny you mentioned Estee Lauder’s Jasmine White Moss. I actually have a sample vial of it but never really tried it — until this morning. It’s a beautiful fragrance and it does remind me of Cristalle. My husband likes it much better than the Tuberose Gardenia, which he thinks is too strong. I, of course, love that one because it reminds me of Hawaii (as does EL’s Beyond Paradise). Hard to decide between a full bottle of Cristalle or Jasmine White Moss. Both are excellent. Thank you. Victoria: I don’t like that bottle either. Well, it looks striking, but it’s difficult to use. The perfume is gorgeous though. Hannah: It makes sense that the ballerina is one of the supreme archetypes of femininity. Nobody seems to realize how ironic femininity is. Victoria: Ironic in what sense? It’s probably not at all what you meant, but I was just remembering an interview with one of the Paris Opera Ballet dancers, in which she says that she dreamed of being a nun. And then she found dance and thought that it was a similar experience. Natalia: My relationships with Chance are somewhat tormented. I didn’t like it at all when it first came out (2006, wasn’t it?) and couldn’t even finish the sample I got with a purchase. Now, an unexpected twist… A couple of years ago I got another sample. I spritzed it on my wrist and boom! it hit me. I thought this perfume smelled like spring (and it was exactly the middle of April). So I went to the store that very evening and got a 35 ml. bottle of eau de parfum. I used it up in a couple of months, so when, that autumn, my husband went on a trip to Paris, I asked him to bring me Liu Guerlain (which it much cheaper in Paris than around here) and… another bottle of Chance! /bewildered smile/. I didn’t specify the volume, so he brought the whole 100 ml. /laughter/. Out of this one, I used up about a third, and then, boom again! I suddenly realized that I couldn’t bear even a whiff of this fragrance any longer. So I gave it to my friend’s 13 year old daughter. Austenfan: You make this sound quite appealing! I don’t think I will ever own a bottle but should I come across one I will give it a sniff. I am trying to imagine how these ballerina shoes would look on my very long feet. They are probably not available in my size anyway. Victoria: If you have high arches or high insteps, you might have difficulties with them. I love the way they are cut and how flattering they look, but the soles are a bit flimsy. I just ended up getting the sturdier soles put on as an extra layer of protection. Have you ever seen Natalia Osipova dance? She’s to me the ultimate dancer, combining extraordinary technical skill and artistic flair. Here is her most famous part, Kitri in Don Quixote. It’s a short 3 minute clip, and even so, you can see how spellbinding she is. Austenfan: I haven’t seen any ballet in ages. That clip is astonishing! Googling her I noticed that she has recently moved to London. So you can go and see her perform more easily. Victoria: I read about that, and I liked their spring/summer program. Unfortunately, I haven’t had no opportunity to return to London just yet. On the other hand, she will be dancing at Opera Garnier in Paris, so that’s an easier, faster trip from Brussels (plus, work is my other excuse to visit). But Royal Ballet in London has another draw for me–Alina Cojocaru, a remarkable dancer. Austenfan: These days a lot of brain research is done using functional MRI. I keep having these images in my mind of someone trying to put a dancing ballerina in a scan. Daisy: That sounds an awful lot like learning learning languages too. Children intuitively pick up on accents, sounds, and rhythms, but adults can manipulate sentences to create much more complex meaning. I always tell my college students that they shouldn’t despair if another student had a French parent or went to a fancy French-language day school. Learning as an adult has its advantages too! But back to the perfume! So glad to hear that Repetto is well-done even if it doesn’t sound like it is for me. I love their shoes so much I would have been so sad if the juice was bad! Victoria: When my mom was visiting NYC, she was shocked how quickly the heels of her shoes showed signs of wear. Of course, we walked all over Manhattan, preferring to avoid subways and taxis whenever it was feasible. You get to enjoy so much more of the city this way. Eva S.: Thank you so much Victoria for that clip! annemariec: Thanks for the review. The video ad on NST caught my eye and I thought that it will probably sell quite a few bottles even to older women who still secretly cherish their little girl’s dream of being a ballerina. Eva S.: My husband gave me Prada Candy for Christmas. Eva S.: Victoria; nobody smells it on me! annemariec: Ah yes. (Prada Candy fan steps up to the plate.) I give myself about 4-5 very hearty spritzes from a sample vial, getting some on clothes as well as skin. Then it lasts well into the afternoon, but the sillage is pretty quiet. I bought a clutch of carded samples on eBay and am going through them so fast I really will have to upsize soon. A 30 ml bottle could be justified in this case. Emma M: Not sure this perfume sounds like my sort of thing; the lipstick red Repetto flats sound divine though! JulienFromDijon: I smelled it last week, and it’s good! It’s a good example of mainstream perfume done well. It never smell cheap. And thanks god, the perfume is not as overprice as their shoes! The leather in the main accord is done well. It reminds me the accord of “scent” of Theo Fennell -the one praised by Lucas Turin- with less skank. And I always had a soft spot for the fruity childlike type of Cacharel perfumes, and Repetto has that. Though the ballet fascinates me, and indeed I practised modern dance for years as a younger man (for fun not for a living), I can’t say anything of the description of this scent sings of the experience to me. Dance, up close, even as a spectator is a visceral, physical, even sensual experience. We may not always see the sweat glistening on the ballerina’s brow, but in a quieter moment we may hear her sharp intake of breath after a particularly strenuous move, or the ominous thud of a foot against the floor following a heavy landing. It is exhilarating and scary all at once. And of course so many costumes and productions are decades old, so the smell, one imagines is far from bright and fresh… it is I guess a fantasy. For me something heavier and more assured, Caron’s Narcisse Noir or the stage make up of an older iris like vintage Shalimar, perhaps even the savoury effort of Malle’s Iri Poudre would be more the coup de theatre called for. Nothing at all wrong with ‘pretty and frilly’. I guess it’s a question of what image of dance one has in mind… for every dreamy scene of a corps de ballet floating on air there’s another of a worn out ballerina nursing her feet. Absolutely though, at that price it’s difficult to argue with anything well made and on form. When you talk about $200+ sweet scents that aren’t up to the puff I wonder whether you have anything in particular in mind…? I am only too happy to spend £20 rather than £200!! Though I’m not a Pink Sugar kind of person (sweetness amplifies on my skin) I agree wholeheartedly that there are certain scents like lavender and even lily of the valley that smell as superb in ‘drugstore’ compositions as they do in niche. Indeed the whole niche always = quality paradigm is one in desperately in need of questioning.